Well its been quite the year for Kevin Hart, as the comedian turned actor has found success in each of his films (Ride Along, About Last Night, Think Like a Man Too). The hot commodity in Comedy film has also found no trouble picking up roles for future films, and one of those films, Get Hard sees him team up with veteran comedian Will Ferrell. The first trailer for Get Hard released and sees Kevin Hart as Darnell Lewis, a man who is hired and tasked to ready a millionaire charged with fraud (Will Ferrell) for the prison life. 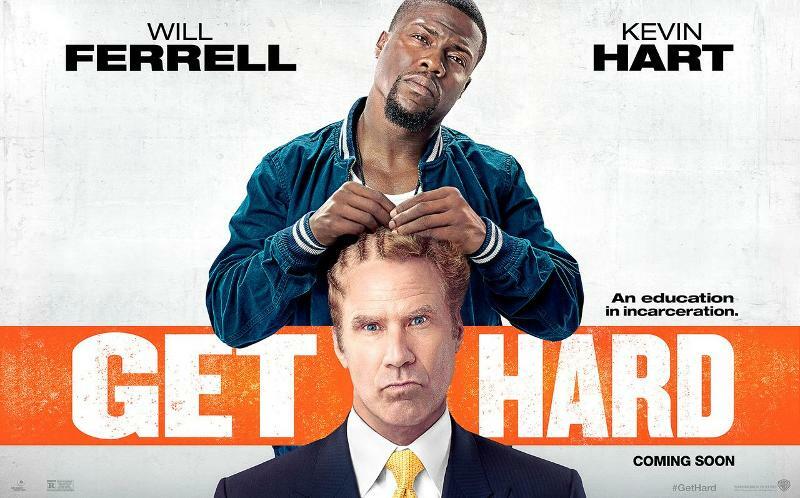 This is the first collaboration between Hart and Ferrell, and given the type of roles they have in this film, we can expect the two blend well together and deliver some great laughs. I find it hilarious just seeing Will Ferrell depend on Kevin Hart, who in the film has never been to prison or committed a crime, to get him tough enough to fit in with other convicts. Etan Cohen wrote the screenplay and is directing Get Hard. Cohen also has writing credits for Men in Black 3 and Tropic Thunder, which makes me look forward to this even more. Get Hard has a sentence date to Movie Theaters on March 27, 2015.